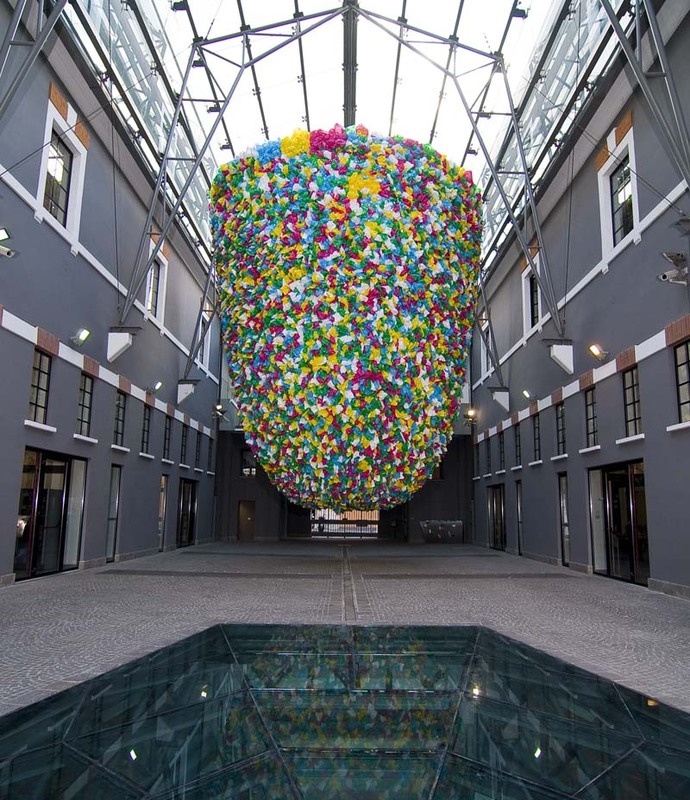 Cameroon contemporary artist Pascale Marthine Tayou works with everyday objects (in many cases plastic bags) and likes to mix things up whether it be culturally in his art or even by making his name femininely-suffixed rendering it heterogeneous. 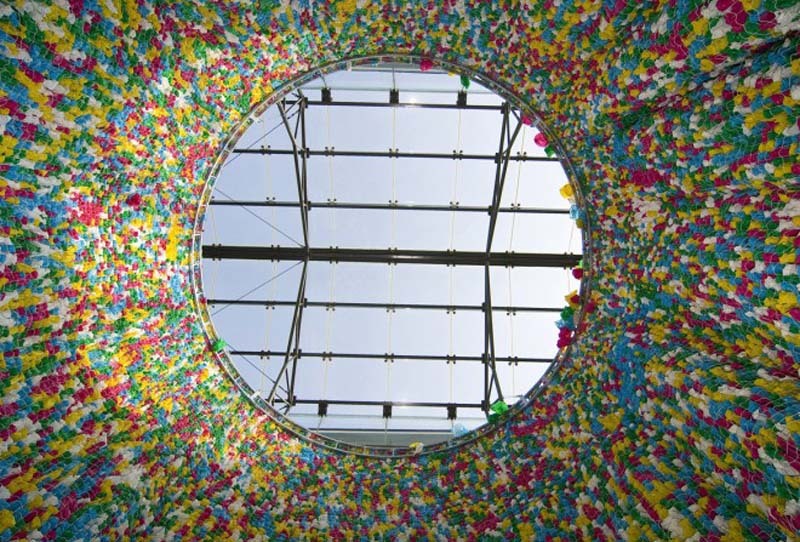 His current exhibit at Rome’s contemporary art museum MACRO titled Secret Garden includes a nearly 10-meter high, U-shaped installation made of plastic bags and appropriately titled Plastic Bags. The bags are very relevant symbols of both consumerism and homelessness in today’s society. Plastic Bags will be on exhibit at Macro through April 1, 2013. Photos: Giorgio Benni/MACRO: Sandra’s Studio; Queensland Art Gallery and eventi cultural mag. This entry was posted in Art, Event, Just Plain Cool. Bookmark the permalink.